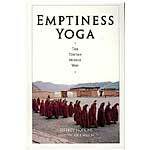 The realization of emptiness is crucial for the attainment of liberation and enlightenment. Teacher Tubten Pende gives a clear and concise presentation on this very difficult topic and introduces various methods to meditate on emptiness that are indispensable for generating realizations within the mind. 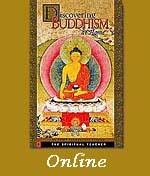 A 26-minute video for Module 12 from the Discovering Buddhism DVD. Six teaching sessions and five guided meditations taught by Tubten Pende. PDF transcripts for all these teaching and meditation sessions are also provided. Access to a student and elder forum for the opportunity to converse with your fellow participants and to receive guidance and answers from the Discovering Buddhism elders for any unresolved questions. The following books and practices are some of the suggested additional resources for students who wish to deepen their understanding of the material in this course (check our store or Shambhala/Wisdom Publications).